We bring people together build community, partner with families, and work to eliminate poverty housing. 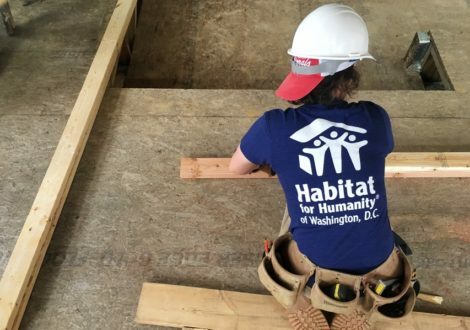 Every one of us can make a difference, and we all have different skills and talents so there’s a range of ways you can support DC Habitat’s mission. 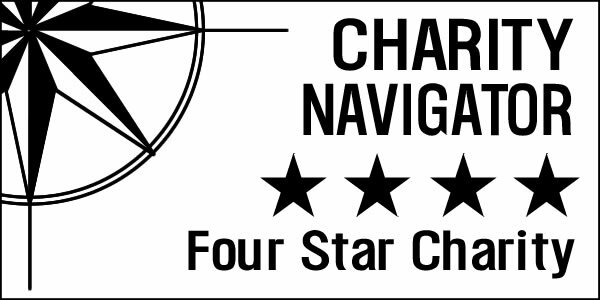 Whether you want to swing a hammer, hold a fundraiser, plan an event, meet with your elected officials, or support other special projects, we have an opportunity that fits your needs. When we face an enormous problem like [DC's lack of affordable housing], the worst response is to do nothing. 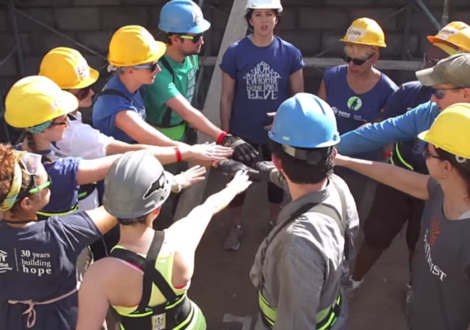 DC Habitat works with thousands of volunteers each year to make our work possible. Every person can make a difference, so we have a wide range of volunteer opportunities both on and off the website. Find the project that's perfect for you--whether you want to swing a hammer, crunch some numbers, or plan a fundraiser--and get started! 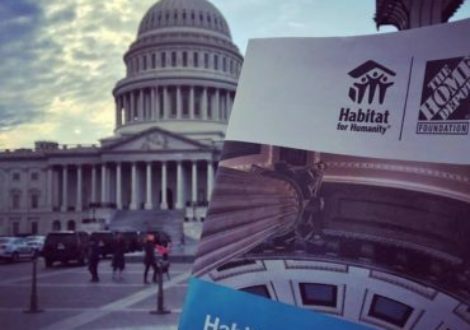 Here in the nation’s capital, you have a unique opportunity to advocate for Habitat at both the local AND national levels by urging elected representatives to D.C. government and U.S. Congress to support access to housing. Tell them you’re concerned about the need for more affordable housing and express your support for policies that help create homeownership opportunities for lower-income working families. Throughout the year DC Habitat holds a wide variety of events, from Home Dedications--where you can see the final product of all our effort and watch homeowners cut the ribbons on their new homes--to fundraisers like happy hours or galas, volunteer appreciation parties, and other special gatherings. You can support our work and meet our network of partners, volunteers, and stakeholders by joining us. Don't be shy! 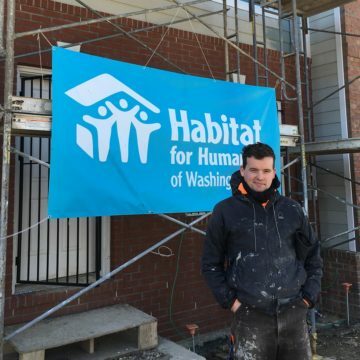 I started volunteering with DC Habitat because I was looking for a way to both contribute to the broader DC community and to work on building projects outside our small Capitol Hill rowhouse. 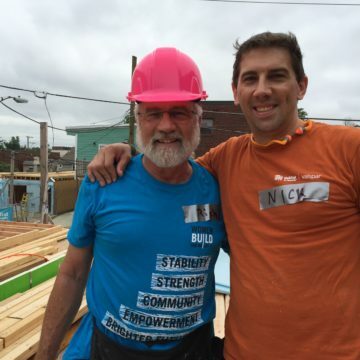 Over the years I've continued to volunteer because I love the DC Habitat family, and I have become increasingly involved with the challenge of affordable housing in the District. 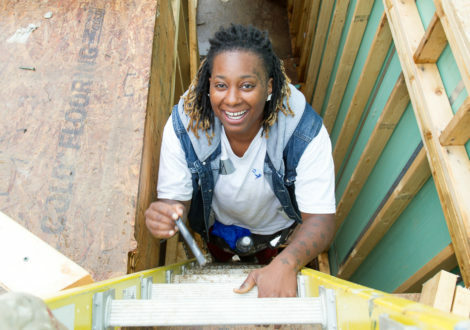 Working with Habitat provides a great break from my daily desk job, and I get the opportunity to meet and work with so many terrific people who are incredibly skilled at what they do and care deeply about the work that they're doing. The Habitat staff was warm, welcoming, and very eager to actually let us all pitch in. 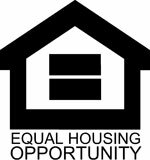 [The experience] showed me and my colleagues how a little bit of hard work could go a long way in helping a family achieve the dream of homeownership. It was also nice to learn new skills and see how a building is assembled from the ground up. It's a wonderful day of service, and you actually get your hands dirty while there! 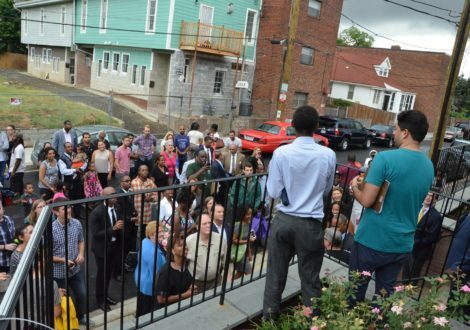 I've been volunteering with DC Habitat since I moved to the area in 2008 [and it] has been a great source of community. More than anything, there is a great feeling of accomplishment at the end of a build day to know that I have been able to make a tangible difference, however small, in the lives of a new homeowner...our city's housing and poverty needs are bigger than any one organization or individual can resolve. But working with Habitat is one part of that effort, and allows me to help provide a base of support from which our partner families can grow. Plus, now I know how to shingle a roof in case the need ever arises.